We have been giving the boys an allowance for as long as I can remember. At first we would pay them in cash – except, we never carried cash. Then, we tried using a notebook. The boys would keep track of their chores and a tally of the allowance we owed them in a small notebook. 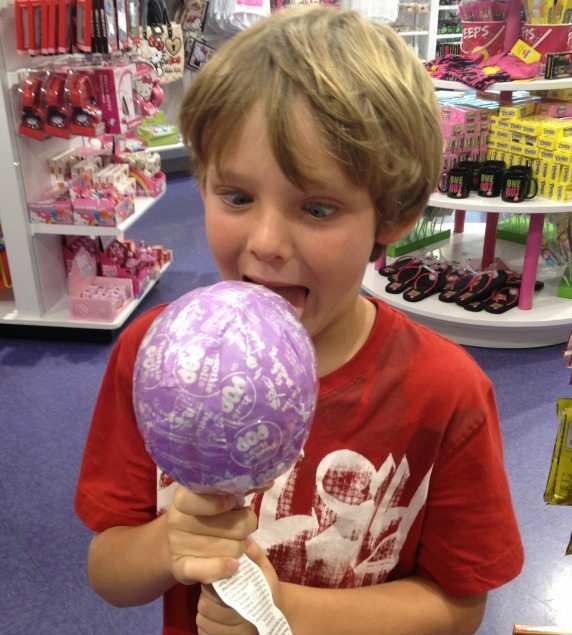 That’s when we got the boys their first prepaid debit card. The boys also liked the idea of carrying their own debit card, so the choice to use a prepaid card was an easy one for us. How Much Money Are You Paying Your Kids?! In order to use prepaid debit cards with your teen’s allowance, you don’t have to be paying them a boatload of money. My kids have usually received one dollar for each of their years of age after age 6. When Michael was 6, he earned $6/week. Now that he’s 13, he’s earning $13/week. The amount of chores increases as the allowance increases, of course. 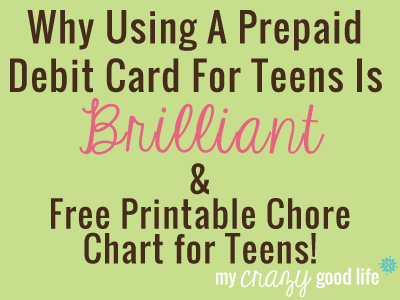 A prepaid debit card is an excellent way to keep track of the $6 or $14 per week that the kids are paid. And to answer your question… no, we don’t always approve of what they choose to buy. As long as it balances out, though, it’s all good. What Chores Do Your Kids Do? Well, everything. 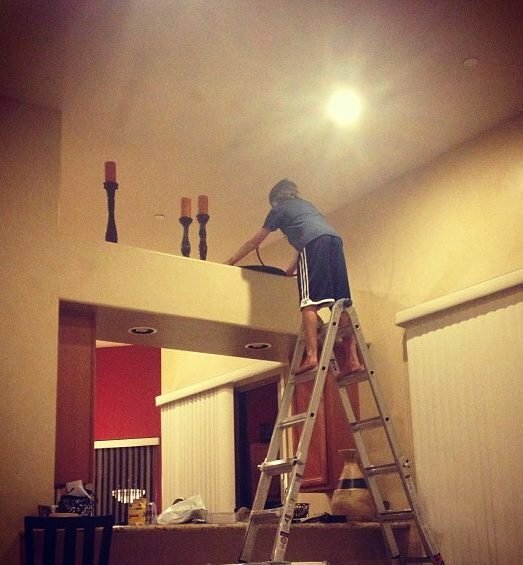 We all pitch in around the house. 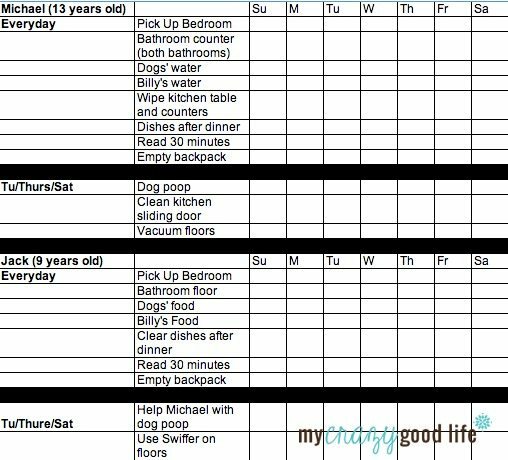 They have routine daily and weekly chores that they are paid for and a chore chart to keep track of what they’ve done. They take care of the animals (2 dogs and a bearded dragon), clean up their areas of the house including their bedrooms and bathroom, clear the dishes after dinner, load them into the dishwasher and more. Using a prepaid debit card for your teens is a great way to teach responsibility, money management and even organization. It gives your children a head start on their financial life and a safe place to ask questions and even make mistakes. I know many parents choose to not give their children allowances in exchange for chores and that’s ok – it’s right for our family. Don’t forget to check out my Google+ album for more tips about teaching your kids to use a prepaid debit card! I have 4 children ages 15, 14, 13, and 12. I tried ordering the cards but they would only let me order one and it had to be with my info. How did you get one for each of your kids since they are under 18? What website did you use to purchase the cards initially? I am looking at this now, and one of the sites I am on is asking for a valid id, etc. Does the card have your name on it or your son’s name? Sorry for all the questions, but I’m really trying to set this up before allowance “pay day” this weekend. Great idea!!!!! Hi. I am having a hard time pulling up your google page. I think it is a GREAT idea and so excited to use it, but when I try to pull up the myplash card web site it doesn’t seem to work. Would you mind telling me if that is card you used or is there a different name? I am having a hard time finding a card that doesn’t have a monthly fee. Thanks so much for any information! I am looking for one as well that doesn’t have a monthly fee. Wondering if you found one? I love the idea of doing this for my almost 16 and 14 year olds, but don’t really want to pay 10$ monthly fee. 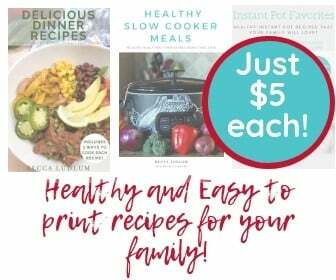 Please let me know if you find any other good resources out there or have other suggestions. Thanks! Thanks for the tips! I’m not sure how old this article is but I clicked on the link to Mastercard’s prepaid debit cards and it took me to a page with a list of different issuers to choose from. I don’t know which one to choose? Your help would be greatly appreciated! Thanks!